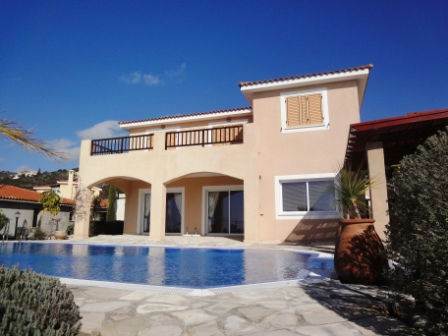 Cyprus Property Blog by Cleo : Tala Villa for Sale - Hot Tub, Views, Location & More - NOW SOLD! • 3 bath, 4 bdrm 2 story	-	€740,000 EUR	- Title Deeds Available - NOW SOLD! Tala, Paphos, Cyprus - This luxury 4 bedroom villa is located in Tala village, 10 minutes drive from Paphos Town and the International School. The village has a variety of local shops, together with a quaint village square with a range of restaurants and tavernas.